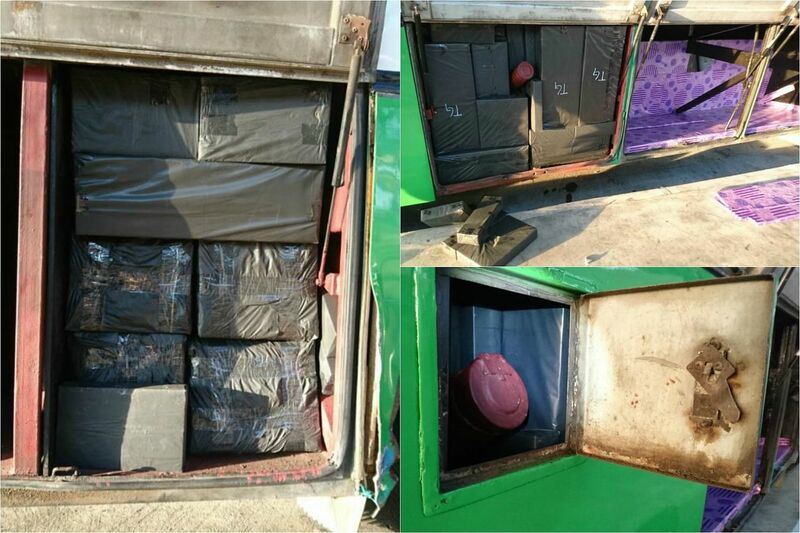 SINGAPORE - A total of 2,221 cartons of contraband cigarettes and 70kg of unmanufactured tobacco were seized from a bus at the Tuas Checkpoint on Sunday (May 29). The potential duty and Goods and Services Tax of the cigarettes and tobacco, which was contained in 70 bundles, amounted to about $199,810 and $19,270 respectively, the Immigration and Checkpoints Authority (ICA) said. ICA said its officers had directed a Malaysia-registered bus for checks upon its arrival at the checkpoint at about 5.50am on Sunday. During the course of inspection, they found the cigarettes and tobacco hidden in various compartments of the bus. The driver of the bus, a 37-year-old Malaysian man, the contraband items and the bus were handed over to the Singapore Customs for further investigations. The bus is liable to be forfeited as it was used in the commission of the offences. "Our borders are our first line of defence in safeguarding Singapore's safety and security. The security checks are critical to our nation's security. We will continue to conduct security checks on passengers and vehicles at the checkpoints to prevent attempts to smuggle in undesirable persons, drugs, weapons, explosives and other contrabands," ICA said. "The same methods of concealment used by contraband smugglers may be used by terrorists to smuggle arms and explosives to carry out attacks in Singapore."